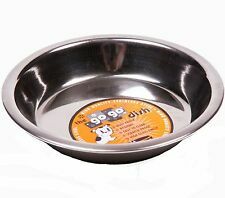 GoGo Stainless Steel Cat Dish Cat Saucer, Scratch Resistant High Quality - 6"
GoGo Stainless Steel Standard Pet Bowls are made of the Finest Quality. Heavy Duty and Built to last, our Pet Bowls are made from High Quality Stainless Steel and work great for indoor and out door use. 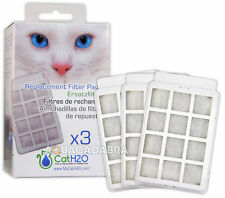 Cat H2O Fountain Filter Pads. As such, we have a huge wealth of experience in online trading. At present we list nearly 5,000 specialist aquarium & pet products suitable for Aquatic, Reptile, Cat and Dog enthusiasts. 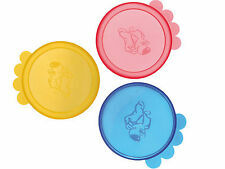 Trixie Pet Food Can Lids ---Designed to fit over most cans. ---Suitable for the dishwasher. ---Easy to use and easy to fit. ---Assorted colours. --- These can covers are ideal for closing food cans. The covers prevent the unpleasant smell of opened food cans and keep the food fresh and moist. The covers are available in assorted colours. 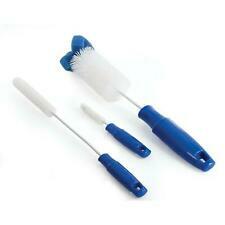 Medium - 7.5cm This size is suitable for closing standard cat and dog food cans that hold 380 – 400g of food. Dexas Popware for Pets self-sealing can food lids creates a tight seal to keep your pet's food fresh longer! Dexas Popware for Pets. Dishwasher safe. Dexas Popware for Pets self-sealing can food lids creates a tight seal to keep your pet's food fresh longer. Drinkwell®​ EverFlow. Keep the water in your pet’s Drinkwell®​fountain tasting fresh. NOTE: this is not the genuine Drinkwell®​product. Drinkwell®​ Original. Drinkwell®​ Platinum. Drinkwell®​ Big Dog. 2 Personalised Cat Bowl Vinyl Stickers (Bowl not included). We use top quality ritrama vinyl which will last for many years. Colours Available. You simply place the sticker in the required place, press down firmly to remove any bubbles, remove the transfer tape and that's it! They are a revolutionary design combining stainless steel wrapped in polyresin and finished off with a removable soy based rubber ring to prevent spills and reduce noise. Dishwasher safe. Patented - Exclusively from Loving Pets. Steel Pet Bowl, Dog Feeding Bowl. If they are not then we won’t be able to process it. 22cm Ideal For Dogs. For proper hygiene, we encourage you to wash the pet bowls after each use to prevent contamination and spreading of germs. [PORTABLE AND CONVENIENT] Are you tired of bulky and flimsy food and water bowls when you are traveling or out and about?. Petmate fresh flow filter is designed to use with PetMate deluxe cat and dog fountains. Fits PetMate deluxe cat and dog fountains. Deluxe fountain filter is charcoal water filter. Filters help to keep pet's drinking water tasting clean and fresh. 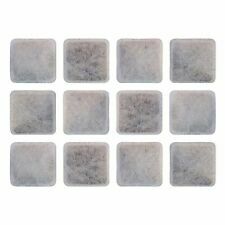 We provide exceptional quality at a very low price. How long until I get my order?. Cat Food Bowl, Feed Water Bowl Ceramic. ---Ceramic Cat Bowl With Cartoon Motif ---11cm width ---Holds Approx 300ml ---Easy to clean. 1 xLe Bistro Automatic Food Dispenser. Le Bistro Automatic Food Dispenser. for up to 2.25 kg dry food. feeding amount individually programmable per feed: min. 60 ml/max. Feed bowl dishwasher proof. transparent container to check the amount of food remaining. 300ml Orange Love Cat Bowl | AFP Kitten Pet Food Water Feeding Anti Slip Dish All For Paws Orange "Love Cat" Food or Water Bowl. This orange unique cat love bowl is perfect for feeding or providing your canine fresh water. The vista pet dish makes a great dish for either a cat or dog. Petmate Mason Gravity Waterer is a trendy mason jar inspired self-dispensing waterer for your pet. Made in the USA. Removes impurities with charcoal filter for better tasting water. We know you are anxious to receive your stuff. Dog/Cat Pet Feeder Bowl. 1 x Pet Bowl. Your Right to Cancel ?. Faulty products ?. Claims, other than the right to correction of faults with the product covered by these conditions. The above policies do not affect your statutory rights. Senses Cat it - Food Maze. Available in :(price per maze). Food Maze -(£20.99 each). Designed to appeal to all of your cat's senses. Wild Birds. Small Animal. Note: this is not the genuine Drinkwell product. COBURN COMPANY 060723 Hog Weight Tape 60"
Still sealed. See pictures for details. Durapet Bowls are made of high quality, heavy duty stainless steel with a permanently bonded rubber ring in the base that prevents sliding and undesirable noise. Non skidding rubber ring on bottom of bowl.